Springtime in Vancouver means two things – cherry blossoms and the CHC Safety & Quality Summit. Helicopters had the opportunity to speak with Duncan Trapp, CHC Helicopter’s vice president of safety and quality about this year’s event. Industry leaders are working to simplify communication for oil rig approaches. What does prioritizing safety in a challenging economy mean to Trapp and CHC, and what are the basics? The choice of this theme was very deliberate Trapp says, as it’s a reflection of the environment many businesses are facing around the world. Safety covers a very broad spectrum as well. “We talk about new programs, new ways of looking at things, new thinking and bringing in technology wherever possible, Safety Management Systems (SMS) and increasingly significant programs such as FDM and HUMS,” he says. Going back to basics in training is just that – getting right down to the individual level in the organization. Safety protocols exist for a reason, but they don’t amount to much if people don’t buy in. As Trapp notes, it’s conformance versus compliance. The challenging economy aspect of the Summit applies to global operators in many different operations, not just oil and gas. Mining in Australia has been hit very hard and the situation in Europe, with Greece and Spain in economic disarray, may signal a new normal, an era of constant economic constraints. If that is to be the case, Trapp muses, “how do we ensure that safety doesn’t drop down the priority ladder as well – and how can we get smart with doing safety in a different way to improve our prospects when there is less money to go around?” The challenge is looking to do things more effectively or efficiently while cutting costs; maintain operational effectiveness and efficiency and save money at the same time. Trapp looks to easyJet, the British low-cost airline that operates more than 200 aircraft, as the basis for a sound model. Last year, for example, easyJet, carried 65 million passengers in Europe, second only to Ryanair. “They have a lot of great initiatives,” he says. “They were really smart initiatives in terms of how they can go green, and how they can save fuel and ultimately save money. They are looking at bio fuel, as well as the amount of fuel they use taxiing in and out, which is significant. Can they use different technology to power their aircraft on the ground? Through his time with the Royal Air Force (RAF), Trapp saw an evolution in safety practices, from risk assessment, safety reporting, education and a general overall safety consciousness. Coming into the commercial helicopter world in 2007, he was surprised at the maturity of SMS, from the way the industry looked at safety in terms of education, awareness, reporting, oversight, review and auditing. In the nine years he has worked in commercial aviation, Trapp notes a quantum shift in how operators cooperate on safety. 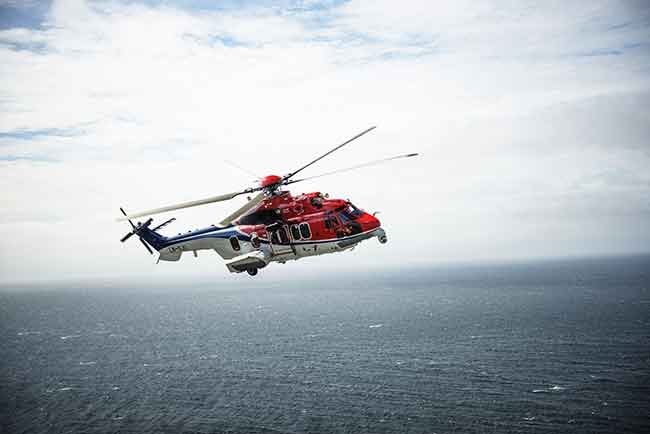 Industry collaboration is key to keeping the safety momentum going and he cites the creation of HeliOffshore – five founding partners and other operators in the international offshore oil and gas industry working together to drive change. This is a good example of what can be achieved. One of the key work streams this partnership has collectively developed is a solid information exchange. Another joint safety campaign involves the types of dangerous goods and hazardous materials that can be brought onboard a helicopter or stored in cargo. Ongoing training ensures that all dangerous goods travelling as cargo have the proper manifest paperwork so crew and passengers are not exposed to unnecessary risk. The proliferation of electronic cigarettes is a good example. Several highly-publicized incidents with e-cigarettes causing fires in stowed baggage on commercial airlines have raised questions about their safe transport. 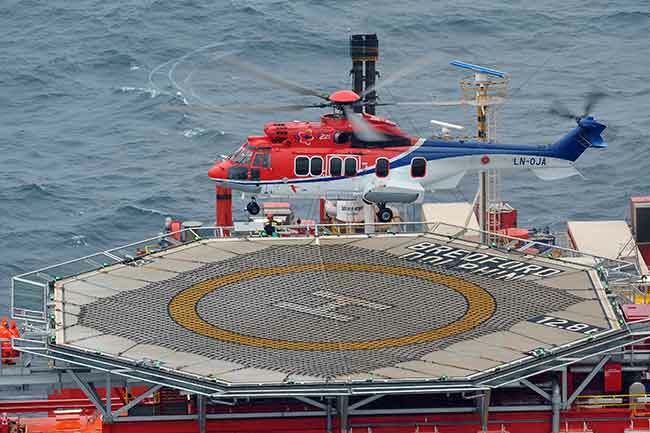 Wrong deck landings and understanding what the causes are is another HeliOffshore project. Wrong-deck landings are infrequent, but the environment is often remote and unforgiving. One initiative includes working on common names for oil and gas platforms to reduce the opportunities for confusion. Platforms often have multiple names – a marine name and an aviation name as well as the name the oil and gas company uses. When three sides of the equation referring to the same physical location by three different names in the same conversation, it opens the door for problems. And it’s not always that straightforward, Trapp says, because there may be maritime requirements or other protocols to be considered. It’s just another example of how all players at the table are working together towards a common goal. 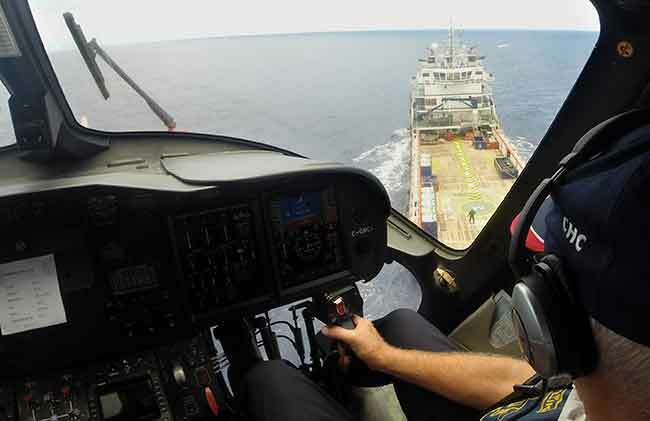 HeliOffshore has commissioned a study on the human factors involved in situations such as wrong-deck landings, with the final report due to be released in May this year. The author of the report, Dr. Steve Jarvis, will be a presenter at this year’s Summit. The results of the study will be the basis for an action plan. The key is to start small, Trapp says, develop a plan and try it in one region. If it works, then it can be expanded globally. The CHC Safety & Quality Summit stays ahead of the curve by attracting a wide and more diverse audience. Last year saw more attendees from Asia-Pacific and South America in addition to Europe and North America. The attendees represent a cross-section from the entire aviation industry – rotary-wing, fixed-wing, military, manufacturers, insurers, airport operations and more. Meeting expectations and satisfying attendees’ needs is paramount to Summit organizers. Being relentless in getting feedback for each presentation is also a key element. Reflecting the diversity of the audience, the keynote speaker for this year’s opening session will be Mark Skidmore, director of aviation safety for CASA, Australia’s Civil Aviation Safety Authority. Skidmore served 31 years with the Royal Australian Air Force (RAAF). During his service, he flew F-111s and led RAAF research and development squadrons before retiring in 2012 as Australia’s air commander at the rank of air vice marshal. After several years in private business, he joined CASA in 2015. When asked to speak at the Summit, Trapp describes his response as “very keen” to speak about the regulators role, especially in an economic environment when people are under pressure. Which brings Trapp back to the basic premise of the CHC Safety & Quality Summit.